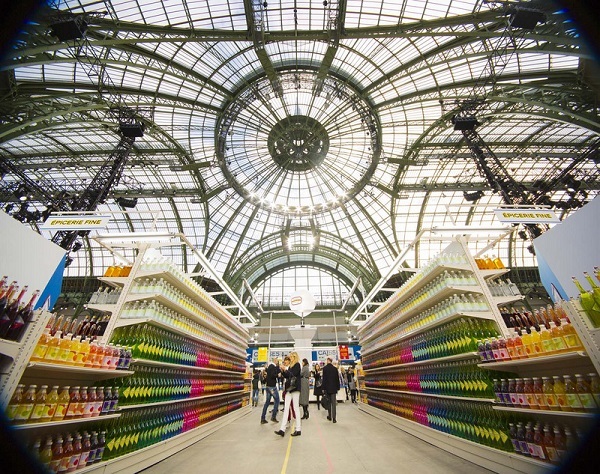 Karl Lagerfeld is never one to be outdone and yet he managed to outdo even himself for Paris Fashion Week 2014, creating an incredible Chanel-themed supermarket at the Grand Palais in Paris for the Fall/Winter 2014 Chanel collection. 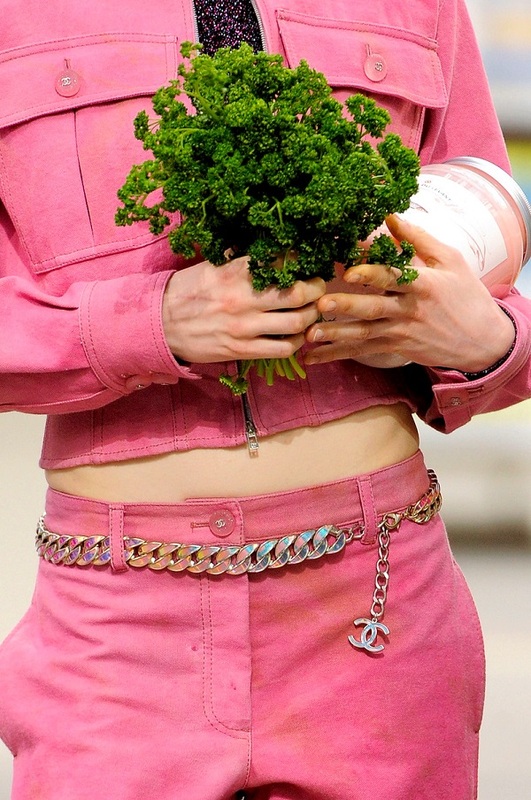 The world he built was filled with every couture cooking implement and food imaginable, impeccable Chanel clothing and accessories, along with supermodels shopping and a star-studded crowd watching. 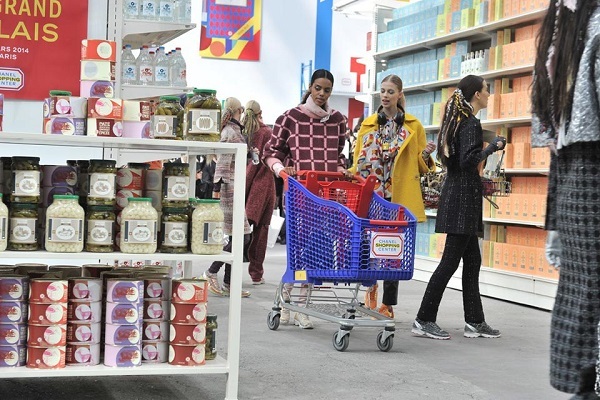 The aisles were filled with Chanel branded items, running the gamut from milk and eggs to Mademoiselle Privé doormats and feather brooms. 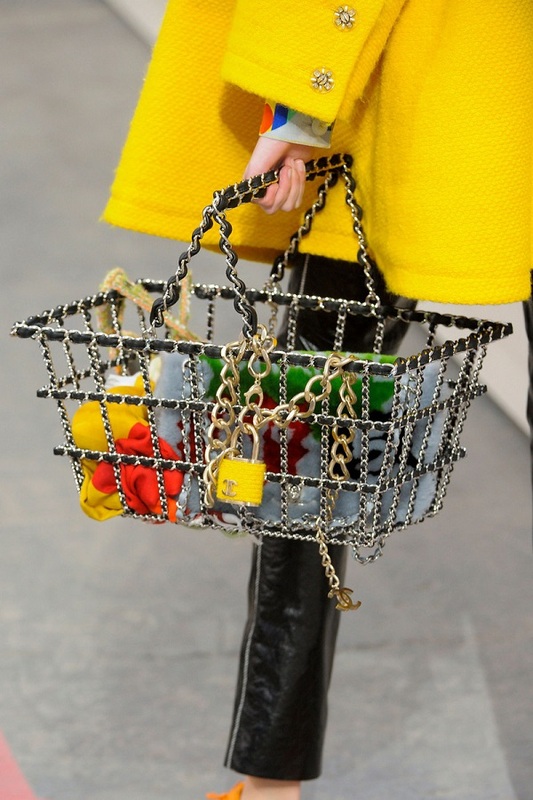 Instead of walking the runway, models roamed the aisles while filling their metal supermarket baskets trimmed in the famous Chanel bag chain. 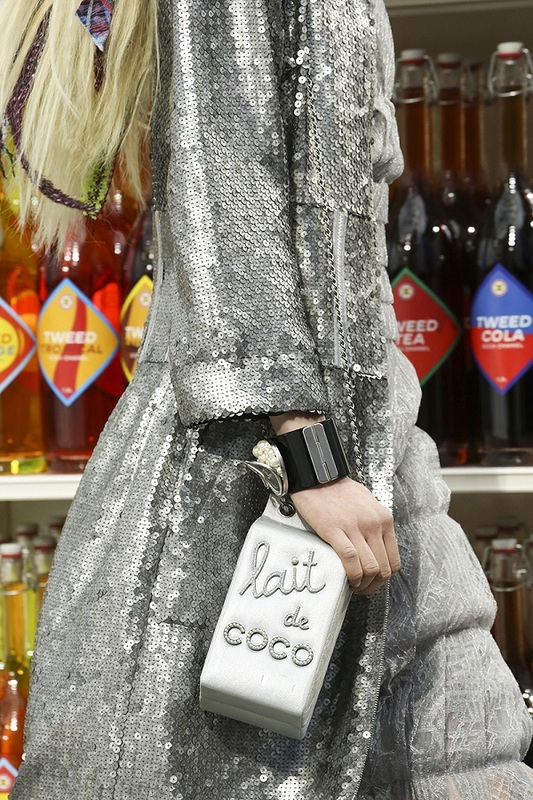 Let’s admire the genius that is Karl Lagerfeld. 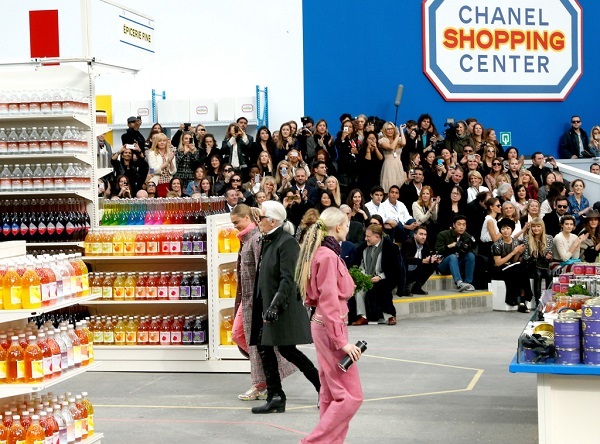 At the end of the show guests, including Rihanna and Chanel muse Cara Delevingne were allowed to “loot” part of the supermarket, taking home an incredible Chanel souvenir. Incroyable! 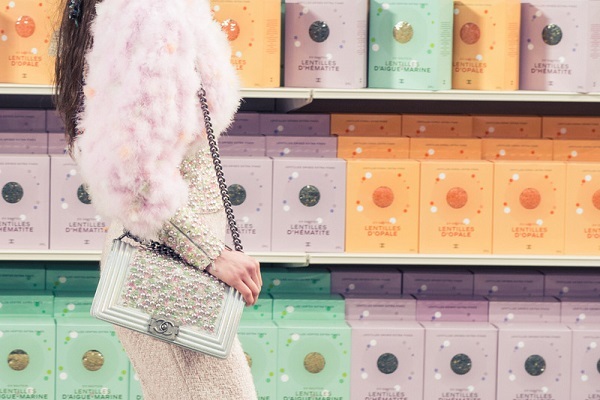 All shopping experiences should look like this. Period.